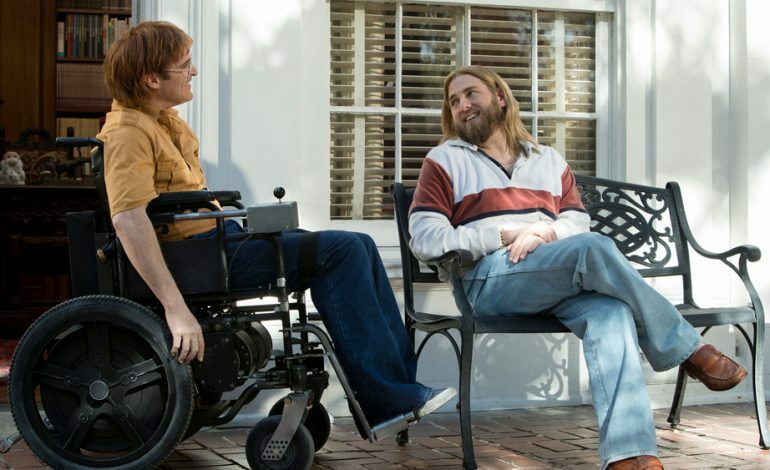 The trailer for the upcoming comedy-drama Don’t Worry, He Won’t Get Far On Foot is here. The film is actually about a real life person named John Callahan. At one point in his life, he becomes wheelchair-bound due to a car accident. He soon goes to a treatment program to give up alcohol. Soon, he realizes his vocation as an artist and his comics gain a huge group of fans. The film contains a star-studded lineup with Joaquin Phoenix as John Callahan and features Jonah Hill, Jack Black, and Rooney Mara among others. Gus Van Sant serves as the director for the movie. Earlier this year, the film was shown at this year’s Sundance Film Festival. Amazon Studios will be distributing the movie, with the official release date being July 13th, 2018.